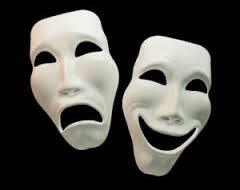 I’m struck with the diagnostic for bipolar disorder. Nowadays, like depression, it’s a diagnostic that’s very popular and easily given and I am alarmed by the easiness with which NHS doctors jump to those conclusions and give very strong drugs to patients. I have seen many people officially diagnosed with depression and put on anti-depressants – which have a dependent factor and horrendous side effects – who were simply going through a tough phase in their life and simply needed a therapist to talk things through. It’s far too easy nowadays to turn to drugs to numb the symptoms but if we don’t look at the root cause, what’s the point? It’s not going to magically disappear is it? Or has it just become the norm to live all your life dependent on dangerous drugs??? I currently have a client who had been diagnosed with bipolar disorder. The sad fact about this kind of diagnostic is that it puts a label on someone with the permanence and the scar of an illness that is viewed by modern medicine as something you can’t recover from. Those kind of diagnostics, similar as the ones I used to see a lot when working with chronic illnesses such as ME – are devastating for the patient as they are given a life sentence of being ill. The impact on their mental health is horrendous, and it’s no surprise so many sufferers see their symptoms worsen. When you consider that impact on issues such as bipolar disorders it makes me wonder. Anyhow what struck me with my client is the treatment given to her. She’s taking mood tranquillisers, anti-psychotic drugs and of course anti-depressant. Darian Leader, author of strictly bipolar highlights how the conventional treatment for bipolar disorder is reduced to a cocktail of drugs supposed to counteract the side effects of each one of those drugs. I am often weary of the modern medicine drugs that target very specific symptoms without taking on board the whole body. Meaning that whilst helping with one symptom, a medicine will at the same time disturb the balance of other body functions – thus create what we call side effects. Therefore you then need to take another drug that will target the side effects of the first one, whilst itself create other side effects. So you then have to take a third drug and so on. 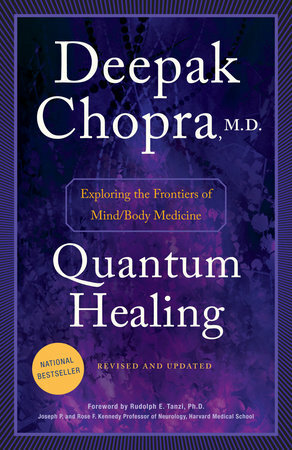 That has been widely documented and if you’re interested on that subject, Deepak Chopra explains it very well in one of his books Quantum Healing. I’ve discovered that herbal medicine, or traditional medicine, actually does target symptoms whilst taking into consideration the whole body balance. Which means no nasty side effects. AND they’re as strong if not more than chemical drugs. When you think of it, our modern drugs actually come from plants…But of course, this natural approach is much less beneficial financially to the big pharmaceutical companies out there…but that’s a discussion for another time. 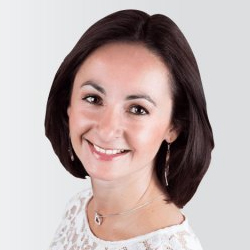 Coming back to bipolar disorder, I was distraught to hear that apart from that cocktail of drugs prescribed to my client, and a couple of counselling sessions to help her deal with her “illness”, she hadn’t been offered whatsoever any in-depth treatment to address the underlying cause of the bipolar issue. And my logical first question to her was “so what caused it in the first place “? To which she had no idea, considering no medical professional actually took the time to explore the psychological aspect of it. I believe the symptoms of the manic episodes are simply a coping mechanism to an initial underlying depression. Typically the client displays strong empathy, feeling the pain of others, a desire to fix things and people, to make the world a better place and to connect. I see those traits as a way to cope with their own suffering, as most people with bipolar disorder are actually highly sensitive and as a result more exposed to emotional pain. So if the manic episodes are – even partly – a way to cope with pain, of course the next question is what’s the underlying pain? and if we could find that pain and heal it, would there need to be any coping mechanism? What would then happen with the manic episode if there was no need to cope with the pain, if the pain wasn’t there in the first place? Of course you can argue that bipolar disorder is actually caused by a chemical unbalance in the brain. To which I’m asking but what creates that chemical unbalance in the first place? If meditation has been proven to alter the brain and body chemicals, could pain and depression alter those chemicals as well rather than this chemical unbalance creating depression? Therefore, what would happen if we started to treat the depression in the first place? 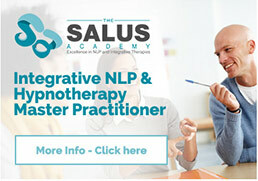 I’ve been working with my client for a few months now, and guess what: she’s now very happy, balanced, her self-esteem and self-worth have improved, and now that with the help of Hypnotherapy, NLP and EFT we’ve removed the underlying root cause that was behind her initial depression, she’s been consistently completely fine. And I suspect it’s going to last. I don’t deny that in some cases there is actually a physical reason behind the issue, but I also believe it happens much less often than officially diagnosed – like clinical depression. If there are genuine cases of clinical depression, a large part of the given diagnostics are misinformed, and a lot of the time what those people really need instead of quick-fix drugs is the support of a therapist that offers unconditional love and positive regard. I’ve seen it in my practice many times and definitively intend to keep working in that direction.